You don't have to give up your favorite meals just because you have diabetes, but you need to know how your choices affect your blood sugar. 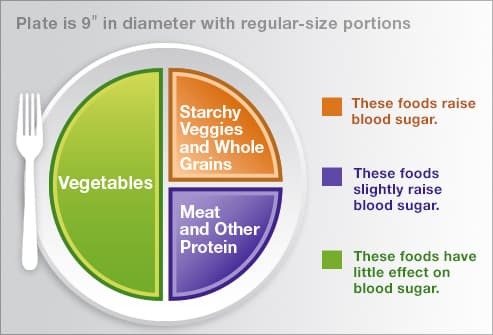 A diabetes educator or dietitian can teach you how to count carbs, read food labels, and size up portions. Those skills will let you control your diabetes and keep your taste buds happy at the same time. 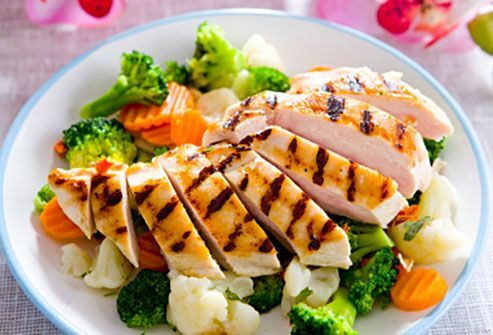 Want an easy way to get a balanced meal? Separate your plate into three zones. First, divide it in half. Fill one side with veggies like spinach, broccoli, carrots, or green beans. Next, split the empty side into two halves. Use one for starchy foods such as potatoes, brown rice, quinoa, or whole-grain bread or pasta. In the last section, add meat or another protein. On top of that, you can also have an 8-ounce glass of low-fat milk and a half-cup of fruit. 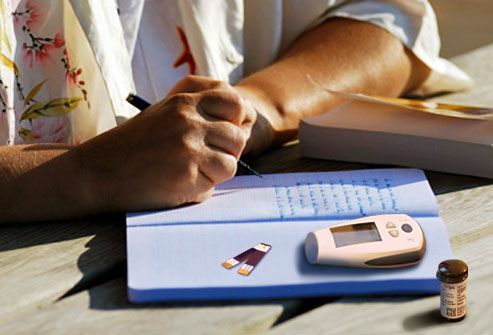 Every day, jot down important info like your blood sugar levels, what you ate, exercise you did, and medicine you took. It will help you and your doctor see if your diabetes treatment is working. Also write down your goals and feelings. It will let you stay on track and remind you about topics you want to ask your doctor about. Common illnesses like colds, flu, and diarrhea can raise your blood sugar. 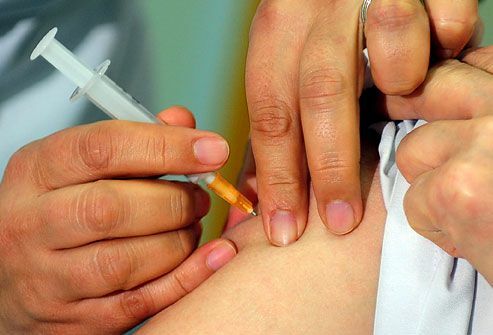 At the same time, your diabetes makes it harder to fight infections. So be prepared. Store snacks that are easy on the stomach but can still give you enough fluids and carbs. Check your blood sugar more often when you're sick. Also, know when to check for ketones and when to call your doctor. And don't forget to get a flu vaccine every year. If you take pills or injections, keep 3 days' worth of your meds and supplies on hand in case of an emergency. 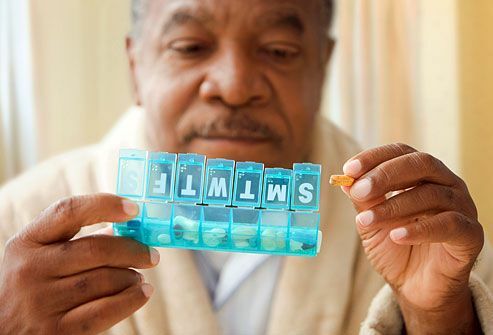 Since some of your diabetes drugs may affect other medications -- even ones you buy without a prescription -- tell your doctor before you try anything new. Make a list of everything you take, and bring it to your doctor and dentist appointments. Cut down on the tension in your life and your diabetes will thank you. Stress can raise your blood sugar and may lead you to make poor food choices, too. Exercise is a great way to ease the strain. It raises the levels of chemicals in your brain that make you feel good. There are lots of ways to get active. 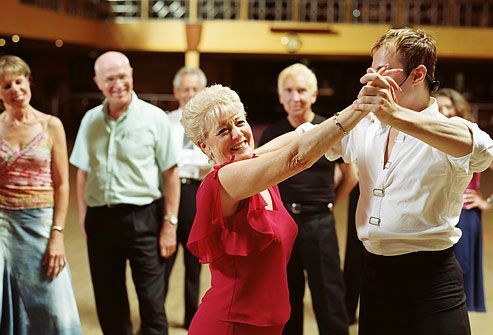 Work out in the gym, join a sports team, or take dance lessons. The main thing is to keep moving! You don't have to cram your physical activity into one big burst. Spread it out over the day. Three 10-minute walks are as good as 30 minutes at once. Regular, moderate workouts will do a world of good. They help control your blood sugar, lower blood pressure and cholesterol, and ease stress. 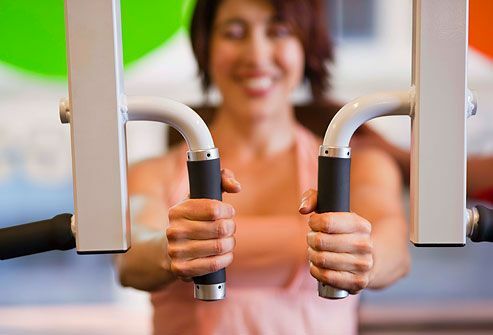 You can prevent muscle loss if you do strength training, like lifting weights or using resistance equipment. Studies suggest it also improves how your body uses insulin and sugar. And of course, it's a great way to lose weight, too. Use a hand mirror or ask someone to help you look for cuts, swelling, or changes in color. Don't forget to look between your toes, too. If you see anything, call your doctor right away. And let him know if you get any corns or calluses, too. Make caring for your feet part of your daily routine. Wash and moisturize them every day, and keep your toenails trimmed. If you smoke, pick a date to quit. That gives you the chance to get ready for it. You might need help to beat the mental and physical parts of nicotine addiction. Stop-smoking programs, support groups, and wellness centers can offer professional help. 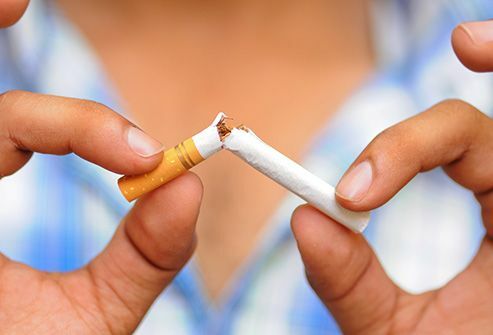 Whether you quit cold turkey or use other treatments to help you kick the habit, having time to prepare for it may boost your chances of success. Your doctor might say it's OK for you to have an occasional drink. But only do that when you can eat something along with it, because alcohol can cause low blood sugar. Also, have some water handy in case you get thirsty. Mixed drinks can raise your blood sugar if you use juice or a regular soda as your mixer. Women should have no more than one drink a day, and men no more than two. American Association of Diabetes Educators: "Healthy Eating." "Being active." "Healthy Coping." U.S. Department of Agriculture: "MyPlate," "Protein Foods," "Vegetables," "Grains." 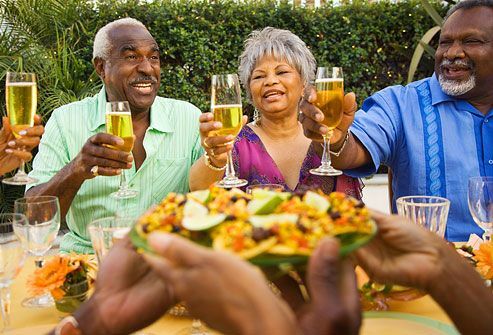 American Diabetes Association: "Tips," "Diabetes Myths," "Create Your Plate," "Checking Your Blood Glucose," "When You're Sick," "Stress," "Alcohol," "Tips for Emergency Preparedness," "Is There a Danger of Interactions?" "Future Visits," "Smoking." CDC: "Take Charge of Your Diabetes: 2. Controlling Your Diabetes," "Diabetes Public Health Resource: Seasonal Flu Information," "Take Charge of Your Diabetes: Records," "Take Charge of Your Diabetes: Foot Problems." National Diabetes Education Program: "Take Care of Your Heart. Manage Your Diabetes," "Take Care of Your Feet for a Lifetime," "Tips to Help You Stay Healthy," "Tasty Recipes for People With Diabetes and Their Families," "Tips for Teens with Diabetes," "Tips to Help You Stay Healthy." 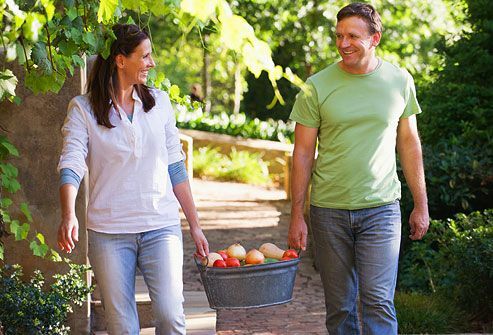 Harvard Health Publications: "Benefits of Exercise -- reduces stress, anxiety, and helps fight depression, from Harvard Men's Health Watch"
Diabetes Foundation of Mississippi: "How Is Diabetes Managed?" Nemours Foundation: "Keeping Track of Your Blood Sugar." Medline Plus: "Diabetes: When You Are Sick." Diabetes Forecast: "Exercise May Stave Off Anxiety nad Panic Attacks." Joslin Diabetes Center: "Diabetes and Strength Training." Diabetes Spectrum: "Strength Training in Diabetes Management."